The lives of three British ex-patriots in Verona, Italy, change over the course of one year, in this episodic novel. It might have especial appeal for fans of English mini-series or evening soap-operas. The same attention to detail and colloquial dialogue is on show here, dosed with a strong ring of truth (the author is a British ex-pat living not far from Verona). The three women represent three phases of an immigrant's life: the long-term emigrant who has adapted to life as the perennial outsider, the immigrant of a few years who is still struggling to find her place and some peace of mind, the newcomer who struggles with even the basics in a foreign culture. Each comes head-on with cultural differences, and deals with homesickness and isolation, which is softened by their shared friendship. Of course, she realized that like many people who have lived abroad for a long time, she would forever be a foreigner. 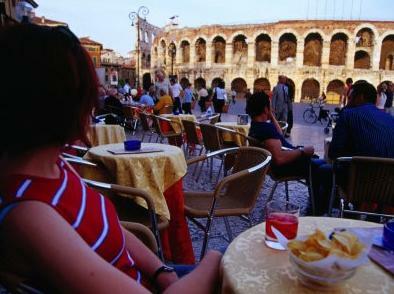 Verona is described with love and frustration, just as I imagine a local would describe it. There are vivid descriptions of her beauty and history, combined with the practical complaints of a resident. The same can be said of the description of Italians, too! The lust for life, hospitality, and rich cultural history is laid out alongside the horrendous traffic, the high cost of living, the too high a value placed on superficial appearances, and the unhealthy attachment between many sons and mothers. We love Italians because they are loud and friendly and hospitable. There is lots of gentle humor in this pleasant read. It feels like the reader is keeping up with three friends who have moved to Italy, with accounts of their small and large adventures explained via long mails. The third-person limited narration moves between the three protagonists, so we get to see their points of view clearly, one by one. 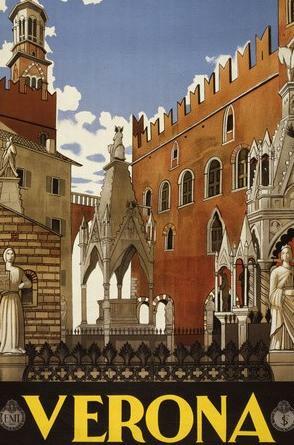 “Worlds Within Verona's Walls” (an awkward title in my humble opinion) is written in clear and educated English that is well-edited. For any Italophile curious about what it would be like to move to Italy, this light, clean read by a woman who emigrated to Italy is an informative and entertaining place to start. 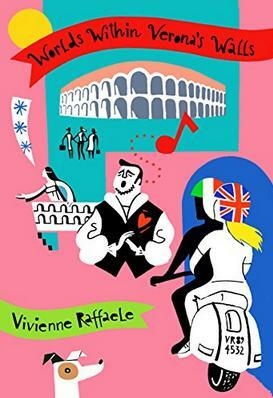 Part romance, part engaging commentary on life in Italy: a lively and at times hilarious account of the lives, loves and interweaving stories of three English teachers at the same school whose friendship develops over the course of the academic year. The novel is set in a city inextricably linked to romance and famous for its star-crossed lovers, but also packed with history and dominated by the magnificent Roman amphitheatre. Against this backdrop, the three women, at very different stages in their lives, have to come to terms with the reality of living and working in a country renowned for its culture, cuisine and sunny climes, but at the same time beset by bureaucracy and hampered by ingrained cultural attitudes. Please visit the author on Facebook.